It has not rained in Tsihombe since January, Reho Ziry remembered as we crossed the bridge over the dry bed of the Mananbovo river. 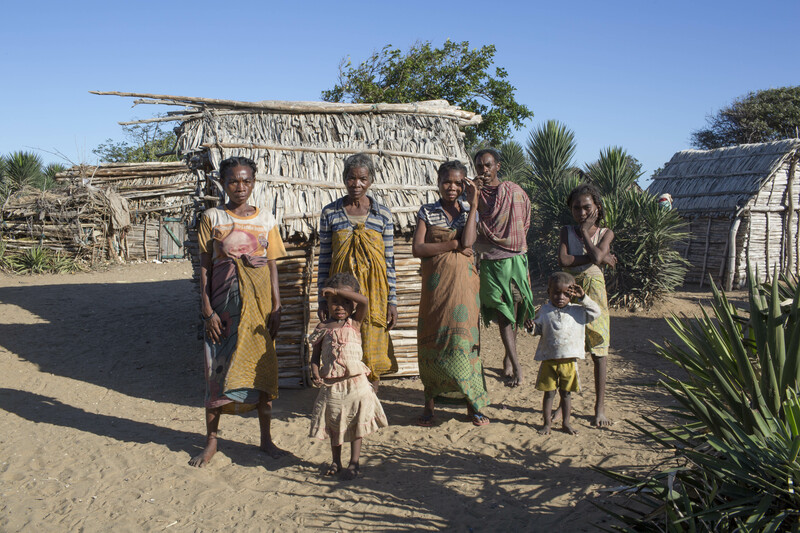 Since then, the sun has baked the arid land in this district of the southern Madagascar’s Androy region, drying out watercourses and crops. “Normally, the rainy season lasts from November to March, but the last time it rained was in January,” said Ziry. This year, the region has seen its worst drought for 35 years, as the El Niño phenomenon wreaks havoc on a number of countries in southern Africa. 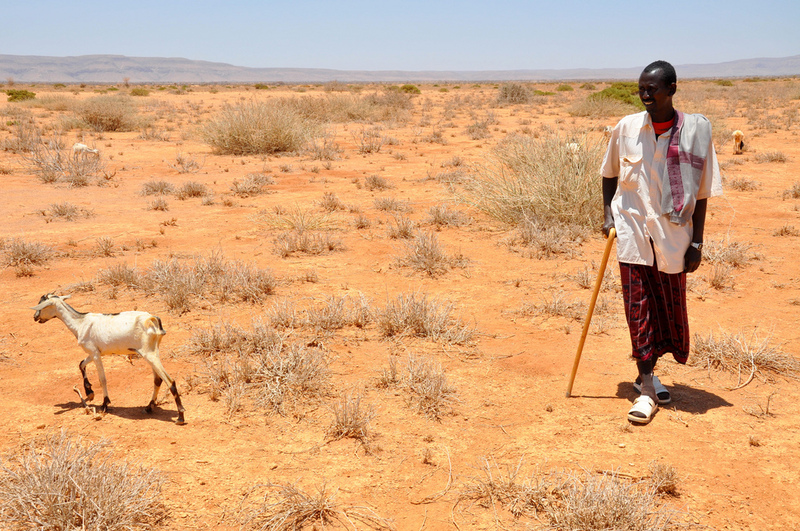 This prolonged drought has already plunged a large proportion of the population into food insecurity. 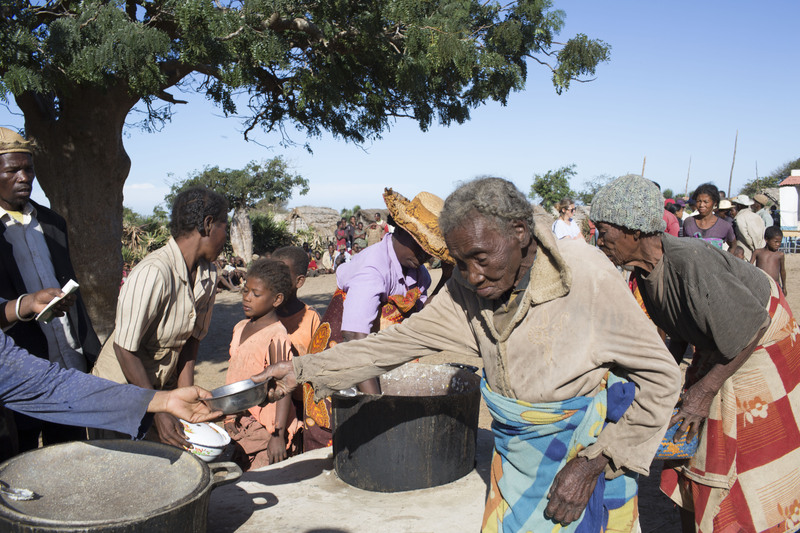 According to the latest evaluation, carried out in February, 1.1 million people in the seven worst-affected districts are suffering from food insecurity (in Amboasary, Ambovombe, Tsihombe, Beloha, Ampanihy and Betioky). This is around 80% of the region’s rural population. Worse still, 665,000 Madagascans are in an extremely precarious position. “Madagascar has slipped into this humanitarian crisis in silene,” said Elke Wisch, the representative of UNICEF Madagascar. 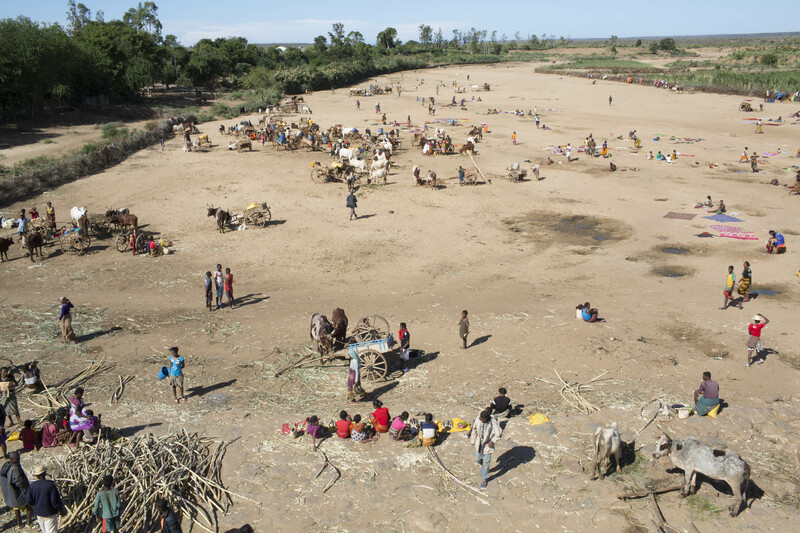 “The South of Madagascar is certainly affected by the El Niño phenomenon, but the problem of the drought will not disappear with the end of the phenomenon. 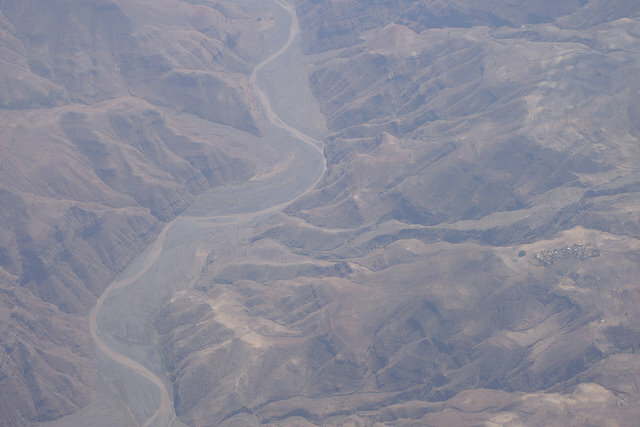 Here, the drought is chronic,” she said. In this region where farmers mainly grow maize and cassava, the lack of rain has left the inhabitants – most of whom are farmers – with nothing to harvest. 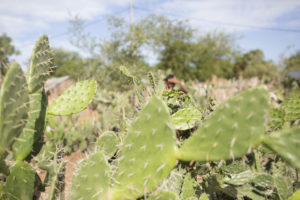 The inhabitants of the most remote villages have sometimes been forced to fall back on their seed reserves, which they eat instead of planting, and on cactus fruits, which have very low nutritional value. 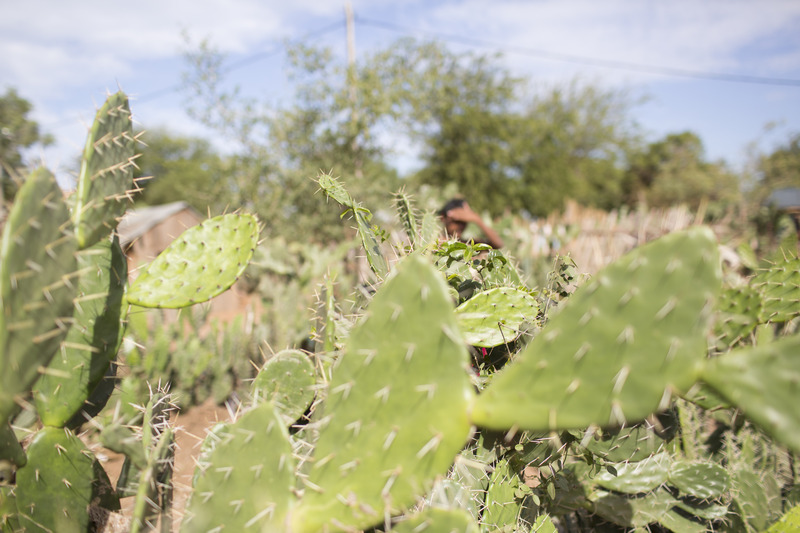 “But there are two types of prickly pears: the white-orange ones, which are edible and the red ones, which are not, and cause digestive problems and diahorrea,” said Sister Josiane, who runs an orphanage in Tsihombe. Severe food insecurity has risen dramatically since early 2016. “In January, we heard that a number of people had died of hunger in the district of Ampary,” the nun explained. Since then, the Sisters of Charity have launched a programme of village cantines to tackle the developing famine in its early stages. In Ampary, 1,200 children and old people depend on daily food hand-outs. But this emergency food aid, distributed to almost 5,000 people, is not put without its difficulties. “At first, we distributed uncooked food in the villages,” said Sister Immaculada. This 81 year-old Spanish nun has run a social centre in Tsihombe since 1976. She understands as well as anyone the difficulties that can arise in implementing food aid programmes. “Even people that didn’t need the raw food came to collect it so they could sell it at the market. Now we only distribute cooked food, and those less in need are more ashamed to come and take it,” she said. Aid programmes for under-nourished children have run up against similar problems. “When a child is severely malnourished, we send them to the hospital to be fed Plumpy’Nut,” the Spanish nun said. This emergency food treatment derived from peanuts normally gets even the most malnourished children back on their feet in a matter of weeks, and can be taken at home. “But we ask the parents to come back to the centre to feed their children here, otherwise many sell on their sachets at the market,” she said. 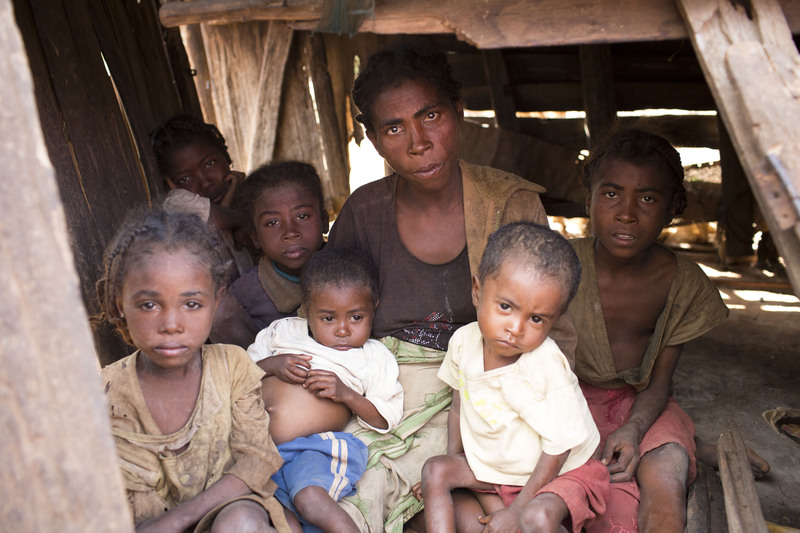 Severe malnutrition has exploded with the drought in Madagascar, particularly among children. “Madagascar has dropped off the world map,” said Wisch. “The child malnutrition situation is alarming, and it is at its worst in the South of the country,” she added. In February this year, more than 7% of children in the region suffered from severe malnutrition. In some villages, this was as high as 15%. At the Ambovombe nutritional treatment centre, which is currently treating 56 severely malnourished children under five years old, the reserves of Plumpy’Nut are also struggling to reach the worst affected. This system is well established. The centre staff weigh each child and take their arm measurements once a week, in order to determine the severity of the malnutrition and the number of Plumpy’Nut sachets needed. Lahipinay and his mother, Kazy Ambahiny, left the centre with a box of the peanut paste. But the health centre staff have no illusions about what will happen. “We also have the two year-old little brother in the programme. It’s a classic profile of severely malnourished children. A woman with lots of children from different fathers,” the nurse said. Plumpy’Nut becomes a food resource for the entire family. Pregnant for the ninth time, the 38 year-old Kazy Ambahiny shares the sachets among all her children. Extreme weather and restrictive export policies could create a food crisis that would threaten 200 million people worldwide, a study has shown. EURACTIV Germany reports.